Are you looking for a custom corporate gift in Atlanta? 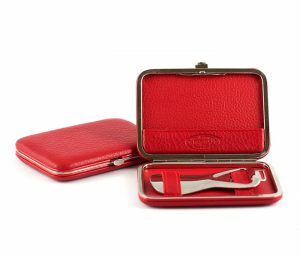 Whatever your gifting needs be, the experts at Keith Lipert Corporate Gifts can help you find the perfect custom corporate gift in Atlanta. Keith Lipert Corporate Gifts experts can help with your Atlanta custom corporate gift. Atlanta, Georgia is home to many large corporations like The Coca-Cola Company. With a diverse mix of businesses, picking out a corporate gift that fits the occasion, the recipient and the company culture can be difficult. Keith Lipert Corporate Gifts has been helping clients in Atlanta choose corporate gifts for over 30 years. From one to tens of thousands of gifts, we have a highly curated collection of items hand-selected from around the world that you can get ‘as-is’ or customize to your specifications. We can also help you create a completely custom and unique corporate gift from the ground up. Reflect an occasion, accomplishment, or mission: A gift needs to feel personalized to match the time and reason for the gift. Motivate cooperation: Custom corporate gifts can enhance diplomatic and corporate relationships, paving the way to good-natured agreements. 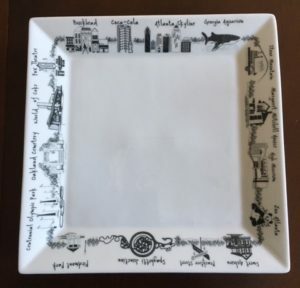 Deepen relationships between people: Whether it’s a single gift for a board member or thousands of employees, a unique, custom corporate gift expresses thoughtfulness and appreciation. Do You Have Budget or Timeline Restrictions for Your Atlanta Corporate Gift? Keith Lipert Corporate Gifts can help. We can work on tight timelines and within a variety of budgets. Additionally, we can also help you create a more extravagant custom corporate gift for an extra special occasion. Our gifts range from simple business card holders to sophisticated and uniquely personalized items that reflect something unique about your business. See below our bottle opener and plate, created for Coca Cola as an appreciation gift. Let our years of knowledge, vast resources, and careful research help you create a meaningful and unique Atlanta corporate gift. If you are looking for the perfect custom corporate gift in Atlanta, contact the experts at Keith Lipert Corporate Gifts: click here to contact us or call (202) 965-9736.